The national study from the society forecasts strong growth for the buy-to-let market which is already worth more than £188.3bn. In addition to the investment from existing landlords another 4% of homeowners plan to become landlords for the first time over the next 12 months with nearly a third of those planning to take the plunge aged 55 and over. The Nottingham’s research with mortgage brokers reveals that 70% believe the launch of Pensions Freedoms in April this year providing people with greater flexibility over how they use their pension funds, will fuel demand for buy-to-let mortgages. Overall, 26% of mortgage brokers predict that over the next 12 months, demand for buy-to-let mortgages will increase dramatically, and 41% believe that there will be a slight rise. Only 2% believe that demand for these products will fall. Ian Gibbons, Nottingham Mortgage Services Senior Mortgage Broking Manager, said: “The nation’s love affair with property is as strong as ever and this is reflected in the growing demand for buy to let properties. Our research suggests that this is also being fuelled by the recent changes to how people can use their pension money. Clearly some want to use this money to buy property to rent out. 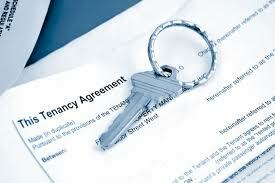 When considering a buy-to-let mortgage it is important to seek professional Whole of Market (WOM) advice as some lenders may offer products with higher LTVs than the average, lower application fees, some lenders don't restrict lending based on the number of properties in your existing portfolio and some don't restrict first time buyer or first time landlord investors.